I'll be appearing at Camp Quest West this year. For those who haven't heard of it, Camp Quest is a national organization that endeavors to reproduce all the great trappings of Church Camp for atheists, providing a place godless kids can spend a week in the wild, learning stuff, having fun, gobbling early morning flapjacks, roasting strange things over a campfire, putting on silly skits, staying up all hours of the night playing Twister. Well, okay I made up the last bit (Cherry 2000 fans, huzzah). But you get the picture. No prayers, no bible lessons, no making God's eyes out of popsicle sticks. Instead, alongside all the traditional fun stuff, there are educational activities that teach about critical thinking, science, freethought history, things you need, things that make you go (obscure TNG trivia fans, huzzah--but no, they won't kidnap your kids and force them to build advanced engines and weaponry, and you won't need strange alien gases to fool them into giving them back--I know, I know, you were hoping). See Wikipedia for more. Camp Quest has summer camps in Ohio, Minnesota, Michigan, the Smoky Mountains, Ontario Canada, and yes, California (that's Camp Quest West). The latter's camp site is in the Sacramento region. It runs from Sunday July 12 to Saturday July 18 (2009). I don't know if it's full up yet, but if you have means and interest, and kids to be rid of for a week, it's worth a thought. Though camps are always expensive, and Camp Quest is no exception, so keep that in mind. They are fully non-profit, but there is considerable overhead for this sort of thing, as you might imagine (though they could reduce costs considerably if wealthy benefactors donated annual subsidies--hint, hint--currently they do get some coverage from small donors like me, just not enough yet to cover all costs). History or Hogswallop is coming to town! Author and historian Dr. Richard Carrier and his loyal sage David Fitzgerald will present History or Hogswallop! ?, an exciting team game that pits all your wits against the wildest claims in history. Can you figure out how to uncover the truth? Will your team win the prize? Find out, when you play History or Hogswallop!? Dr. Carrier developed this game last year based on previous years at Camp Quest, when presenting challenging questions about ancient history led to a lot of fun for all. Gigantic ships, famous battles, and crazy claims were described, and campers had to work together to come up with smart ideas how they'd find out if any of these stories were true. Now we've got a whole new batch of crazy claims, and a slick new way to run an action-packed competition among teams of campers, this time for a prize. Every player will learn a lot about history and historical method, without any boring lectures. What's more, their intelligence and ingenuity will be challenged, and their skills as a skeptic honed. Some will even get a good bit of exercise! It's only for campers. But I thought it couldn't hurt to mention Camp Quest West, if perchance any readers out there are parents or know parents who'd love to send their kids to a freethought summer camp this year. It's a great project I love to support. I will be giving yet another reprise of my talk on Not the Impossible Faith in Sacramento (California) this June 14 (2009) for Atheists and Other Freethinkers. 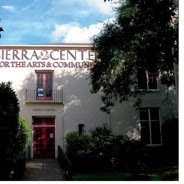 This will be their usual meeting time and place, Sunday 1pm to 4pm in Room 10 at the Sierra 2 Community Center, 2791 24th Street, just south of Broadway (see map). Parking is available on the street or in the rear (off 4th Avenue). It's open to the public (but donations are always appreciated) and I will be selling and signing books afterward (where you'll get a better deal than online). For a description of the talk see my announcement for last month's Berkeley appearance. The San Francisco Atheists have asked me to give an encore presentation of my discussion of J.P. Holding and my book Not the Impossible Faith in San Francisco (California). This will be in the banquet room at Schroeder's (240 Front Street, when you walk in just head all the way to the back room) on the Saturday of May 30 (2009) at 6pm. It's open to the public, but you will be expected to buy a drink or meal from the hosts (and please tip generously). I will be selling and signing books afterward, but be advised, supply is limited! For what this talk will be about, see Appearing in Berkeley.